With apology, I inform you this essay requires a homework assignment. Before proceeding, kindly read Tobias Wolff’s fantastic short, Bullet in the Brain. Worry not, at less than 2000 words it’s shorter than a James 315 essay and I promise it will be the best piece of literature you read this week. I’ll be here when you return, gazing adoringly at this picture of the story’s author. Welcome back, I told you it would be worth it. In EVE parlance Anders (Bullet in the Brain’s jaded protagonist) is a Bitter Vet. Like Anders, Bitter Vets still revere their game (witness Anders’ unbridled enthusiasm at verbally eviscerating the woman in front of him) but that reverence has grown debased and foul. There’s no longer any joy in it. If you’re the hands behind the Dire, one advantage of aging is gray hair. Until senility sets in, aging induced gray adds gravitas to near everything one does. 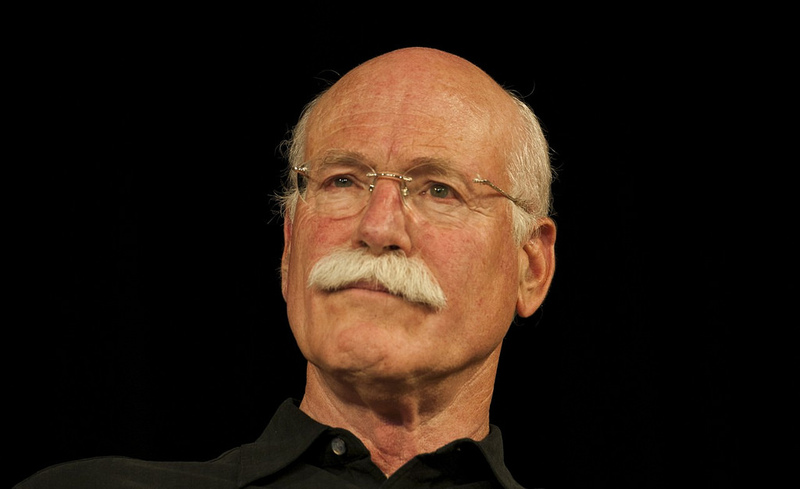 Just look at that picture of Tobias Wolff. The fellow exudes gray authority. Though unearned perk, I too unabashedly partake. A few years back when a young nurse entered my pre-surgery room to attach an IV to the back of my right hand, I pleasantly disputed the chosen location explaining I was right-handed and didn’t want pesky IV tubing interfering with function. As she shifted to my left hand I solemnly shook my head no pointing at my forearm instead. He confirmed that this was indeed protocol and set about inserting the IV in my left forearm. I found the entire interaction charming. While there was no question who the experts were (they were), there was also no question who was in charge (I was) and all this because I had the gray hair to establish such claim. Though I’ll never write as well as Tobias Wolff (have you read his short story “Bullet in the Brain”? Oh my god! ), I have near as much gray as he meaning I have accrued enough gravitas to employ his story as vehicle to explore our EVE Online. We EVE players, you see, are every bit as important as Wolff and that declaration’s validation resides right here in my hair. Much like EVE, things are a little more complicated than they initially appear. 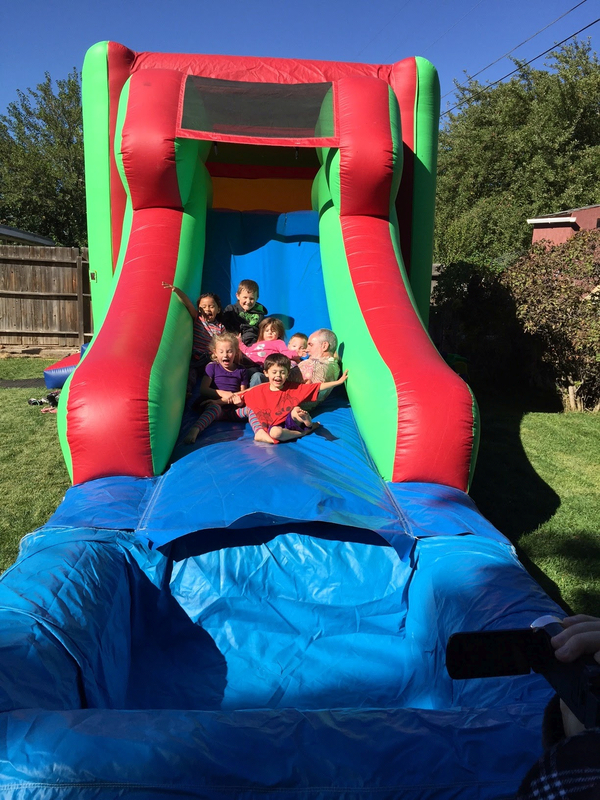 The base of the slide is a sizeable, plastic-wrapped, negative space meant for water but it was a cool autumn day so we never filled the pool. Accordingly, every station exit warp ended in a jarring finish as children dropped into the uncushioned grid. We adults never thought to add foam or fluffy blankets and the frigate children never asked. Instead, each child would complain after first slide, “The bottom’s hard!” before racing around to slide again, this time concentrating on sticking the landing: the older children feet first, sometimes vaulting into the cushion at the far end of the empty pool, the younger children flinging out arms and legs confident that some loose limb or other would break the fall. It was the perfect happy accident. Enough risk to keep the children’s interest but not so much serious injury would ensue. This picture catches us mid-warp, still refining fleet doctrine. I am sideways with two children in front of me, two children on my lap and two children behind me. The theory is I’ll block the back children from crashing into the front children while holding tight the two children on my lap. The technique works but is far from optimal. As we discovered, I’m the most dangerous boat in fleet meaning things go better with fewer children in front of me. By late afternoon we were placing one child on my lap with two children on each side of me and as many children as wished diving in behind us after pushoff. I never counted totals but I’m sure we reached eight or nine screaming frigates before we were done. 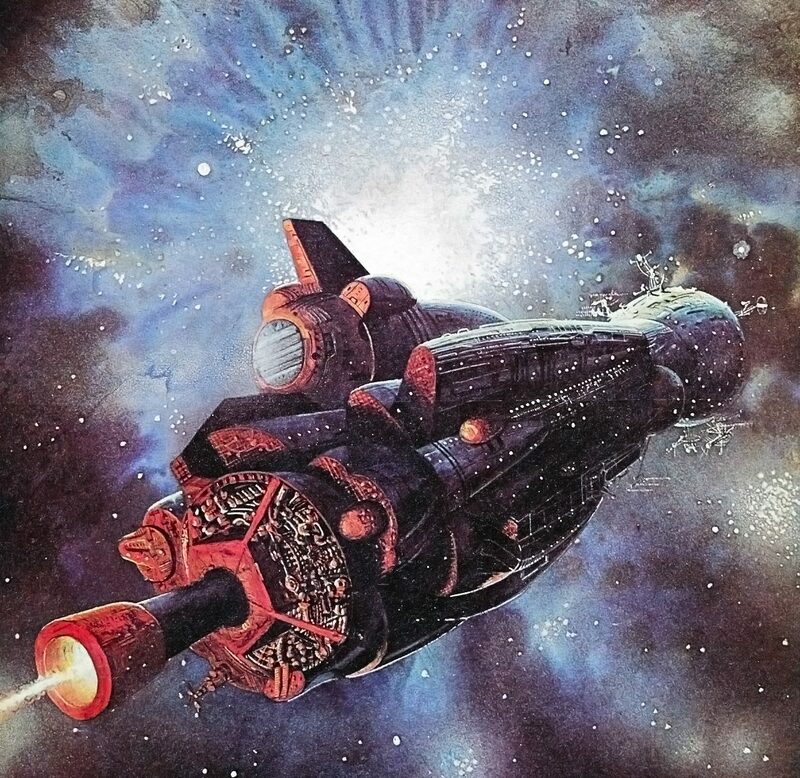 As fleet commander I whooped and hollered repeatedly stating that this was most unwise, we faced certain doom and we really ought not be doing such things until the kids themselves picked up the chant. At the other end of the yard the party’s adults first shook their heads in derision, then smirked, then sauntered over to take pictures. Some even tried the slide themselves with child in lap or sitting close beside, each one grumbling about the hard grid landing. Noobs! Welcome to EVE, parents. If things go well, come November we EVE players are going to encounter an overwhelming tide of noobs. I’m not prepared and most likely neither are you. CCP certainly isn’t, as Anders and the Bitter Vets vociferate. But who cares? No adult is truly prepared for the attention demanding chaos each new child brings to the bounce house. Sure you can repaint the nursery, maybe purchase a better crib, but even then you’re still not truly prepared. 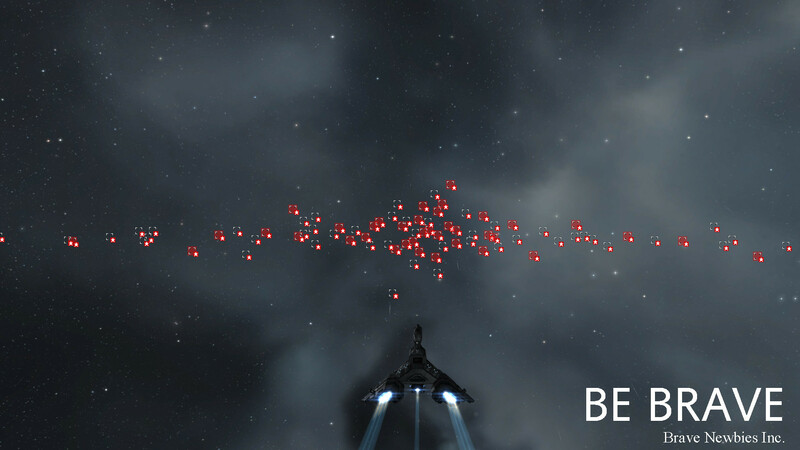 So I say pull that alpha trigger now because you and I, CCP and the noob tide, we’re gonna slide and it’s going to be pandemonium: glorious, joyful pandemonium. 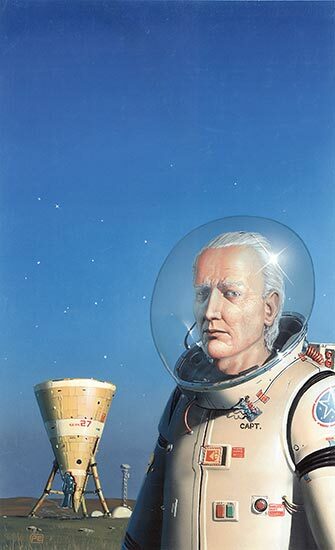 We Capsuleers are exceedingly lucky. When the bullet in our brain ignites the synaptic lighting returning us to original joy, it’s not death we face in the marble hall of commerce but medical clone rebirth. Short’s the best position they is.